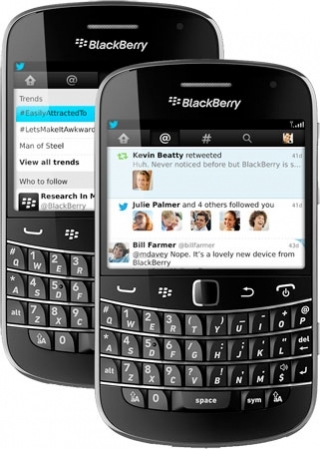 Twitter for BlackBerry 4.0 released | BlackBerry Blast! Twitter has just announced an update to its BlackBerry client. The new version 4.0 adds a modern UI that resembles current iOS and Android versions. The most notable addition to version 4.0 is a new Connect "@" tab. Other than that, Twitter is Twitter. The update is available for download from the BlackBerry World so check out the link below for the download.